Entertainment Passes are not included in the price and can be purchased from Haven on arrival. Prices for passes are available upon request. By purchasing the passes you can access all of the on-site activities such as indoor pool, outdoor splash zone, kids club, bars and entertainment. A £50.00 non-refundable deposit cheque/direct payment is required within 7 days of your booking to secure your dates. The balance is due 6 weeks before the start date of your holiday. If the balance is not paid on time we reserve the right to withold your deposit. If you cancel your break within 2 weeks of your stay we withold the right to withhold 75% of the code of your stay, between 2-4weeks 50%of the cost, 4-6 weeks 25% of the cost of your stay. A further £50 security deposit is payable with the final balance against any damage/breakages or loss of keys. this will be returned to you after your holiday if no problems have occurred. You can collect your keys from Haven reception from 2.00pm on your date of arrival and must vacate by 10.00am on your departure date. 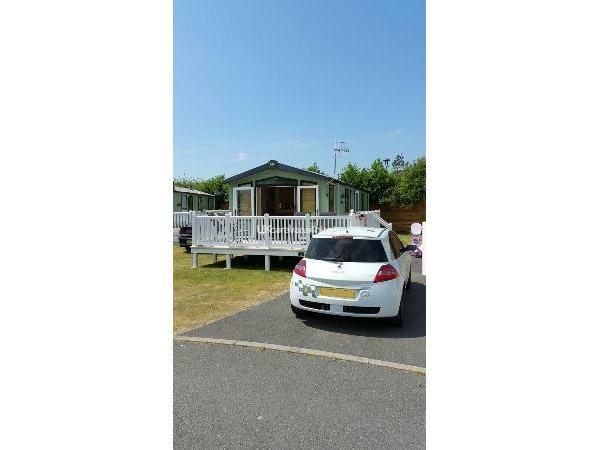 Swift Moselle 2 bed child friendly caravan situated on a cul-de-sac near all amenities on Haven Greenacres Holiday Park, Porthmadog, North Wales. 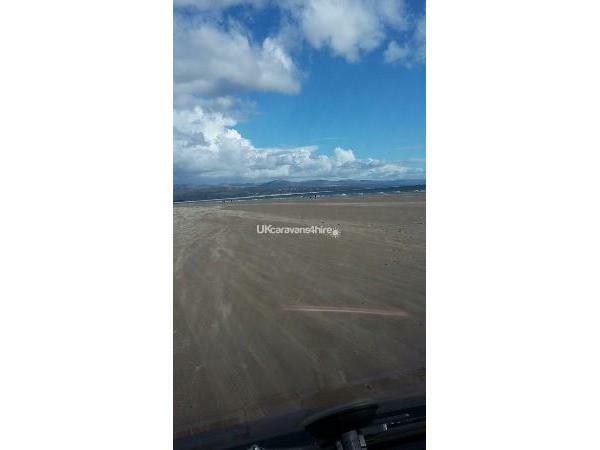 A short walk to the Entertainment Complex or Black Rock Sands Beach. Lovely views from the decking. 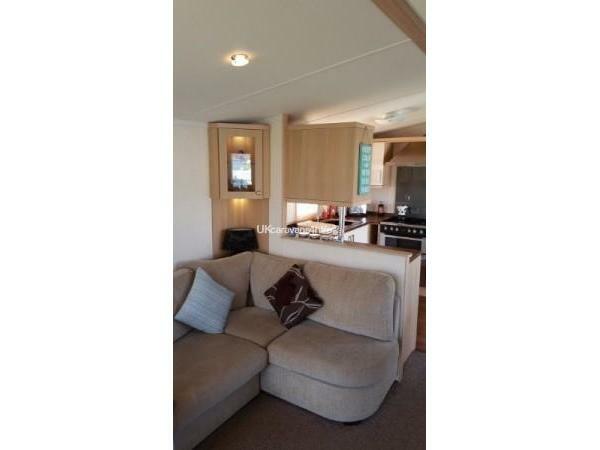 The caravan is ideal for 4 people but can accommodate 6 people by using the double sofa bed situated in the living area. 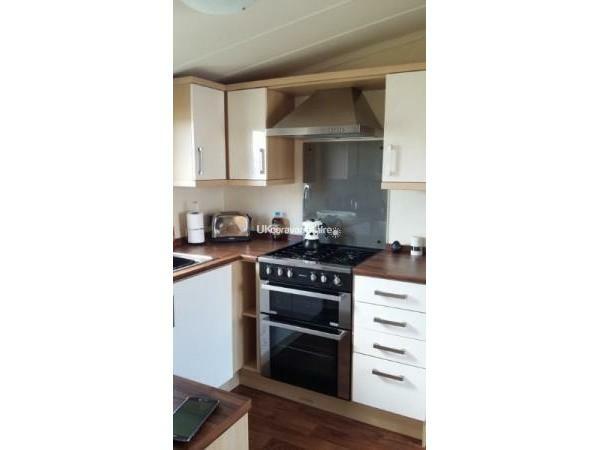 Kitchen area with full size gas cooker, microwave, toaster, kettle and integrated full sized fridge/freezer. Fully equipped with cutlery, crockery, pans, utensils and glassware. The boiler is also situated in the cupboard next to the fridge/freezer. Bathroom with shower unit, toilet, wash basin and radiator. 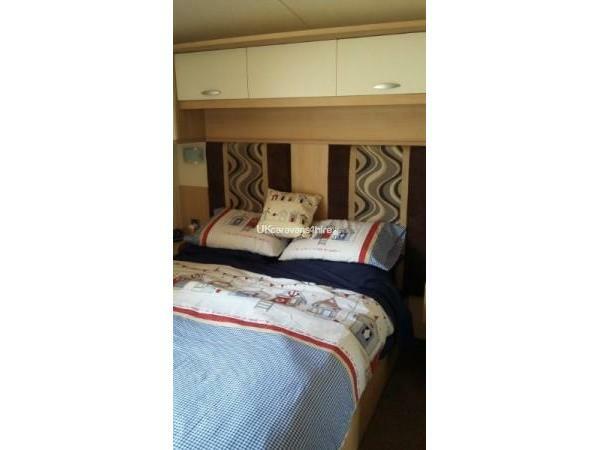 Twin bedroom with radiator and plenty of storage. 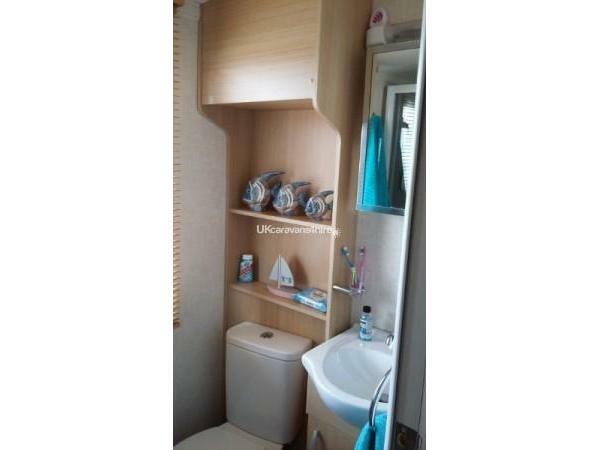 Large double bedroom with wardrobes, dressing table and shelves. TV/ DVD combi. There is space for a travel cot in this room. En Suite toilet and washbasin. Both rooms have radiators. Outside there is a parking area for one car (main car park 2 minute walk away if more parking is required) A raised deck area with patio furniture which has sun on it for most of the day enjoying views of the stunning Snowdonia National Park. There is also a grass area perfect for children to play on. You will need to bring your own bed linen, towels and t-towels as these are not provided. Duvets and pillows are provided. Pets are NOT allowed in the caravan. Black Rock Sands beach. This can be accessed directly from the park through the sand dunes or by car from the main road outside the park. stunning flat beach surrounded by dunes. Perfect for family picnics, games and sand castles or just relaxing. A short drive away include places such as Harlech Castle, Portmeirion, Slate Mines, Farms, Ffestinion & Welsh Highland steam railway, Snowdonia National Park and Caernarfon airport where you can take flights around the area. Leaflets for all local attractions can be found in reception or at the tourist information centre situated at Porthmadog harbour. In addition to the on-site shop there is a small Spar shop on the road outside the park. With 5-10 minutes drive you will also find a Tesco, Aldi and Lidl as well as local shops, restaurants and takeaways. Additional Info: Nature Rocks outdoor activities, Crazy golf, Archery, Outdoor splash zone, Children's play area, Regular evening entertainment. Please note that some activities may incur an extra charge. There is access to the beach directly from the park which is excellent for beach sports. 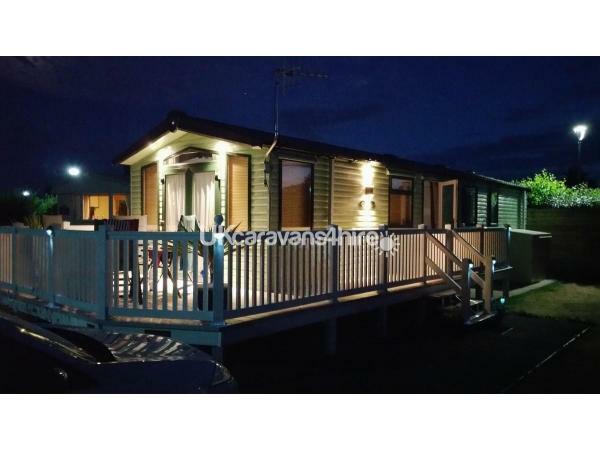 A superb holiday was had by us all, what a stunning and immaculate caravan!!! The owner was a pleasure to deal with and nothing was too much trouble. We would highly recommend and will definately be booking again, thank you for a great getaway!! Thank you very much for your kind review. We are so glad that you enjoyed your stay and look forward to welcoming you back. As a repeat customer you will get preferential rates when you rebook. Had a lovely week in the caravan in a great position with lovely views. 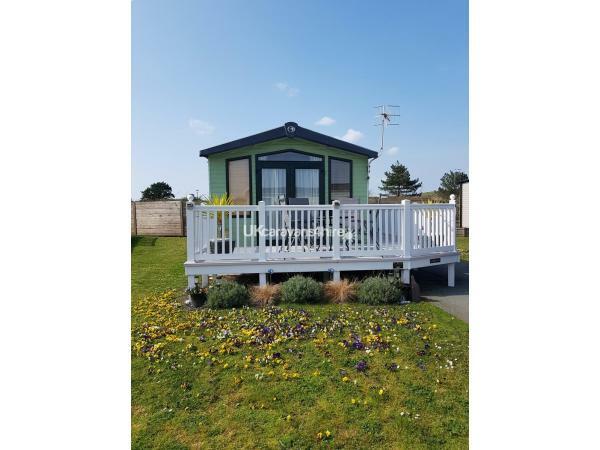 It was nice to have a prompt responce with booking the caravan especially as it was last minute would highly recommend the caravan and park facilities and will certainly be coming back. Thanks again. Sue Milton. Thank you very much for your review. We are glad you had a nice time and look forward to welcoming you and your family back in the future. Thank you very much for the kind review and look forward to seeing you and your family again in the future. A very very late booking to meet up with out daughter and Grandchildren, who had been on Greenacres since the 9th. Booked with Rachele on the 10th got everything sorted by the 11th. Swift efficient all done as we agreed. It was my birthday too on the 14th so to be with grandchildren and share a long weekend was just superb. The van was ideal for us, a short walk from the family, close to club etc. clean, spacious for two adults (and 2 children). Everything was there for a comfortable happy weekend, the weather made it that more glorious. A great break on a great site wth great caravans. Thank you very much for your kind review. We are glad you enjoyed your stay and look forward to welcoming you and your family back in the future. You will of course receive preferential rates as a repeat customer. Thank you very much for your review. We are glad to hear you and your family had yet another nice stay and look forward to welcoming you all back next year. Thanks again. 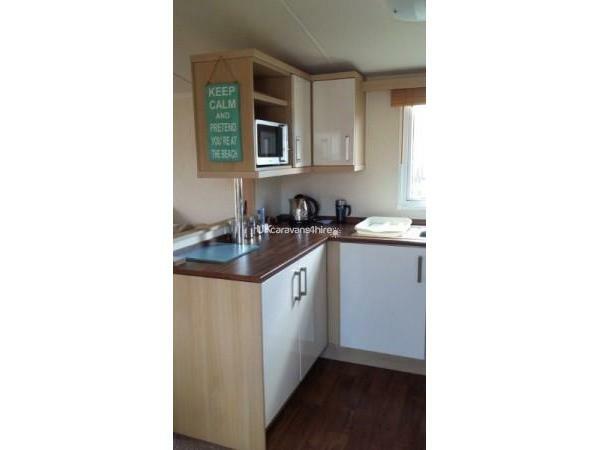 Lovely clean caravan in the perfect location. The first time we went we loved it so much we immediately re-booked & now we are regulars! 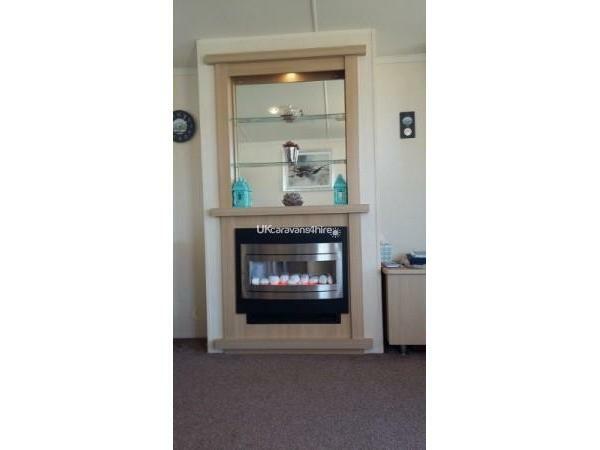 Great facilities on the Haven site & beautiful beach 5 mins away. Would 100% recommend. Thank you so much for your review. We are glad to have met your expectations. Please remind us that you have visited before when making any future bookings for favourable rates. Stayed for a week from the 7th August. 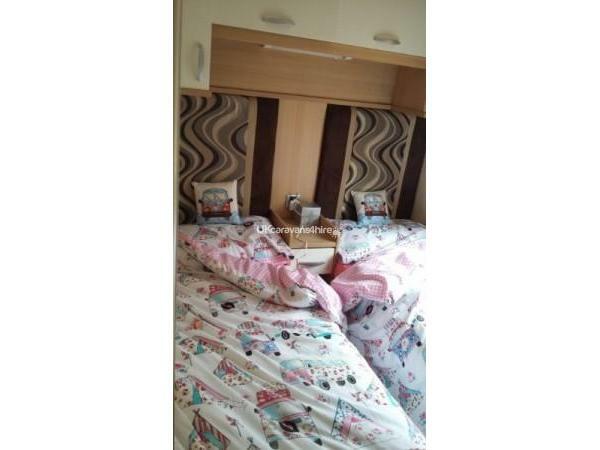 Caravan was immaculate,we have been to Greenacres for the past 5 years twice a year and this is by far the best caravan we have stayed in, very well looked after.The location and the view are fantastic and very safe for my kids to play.Communication with Andy the owner was excellent. going back in October for a week and we can`t wait. Will definitely be going back next year. 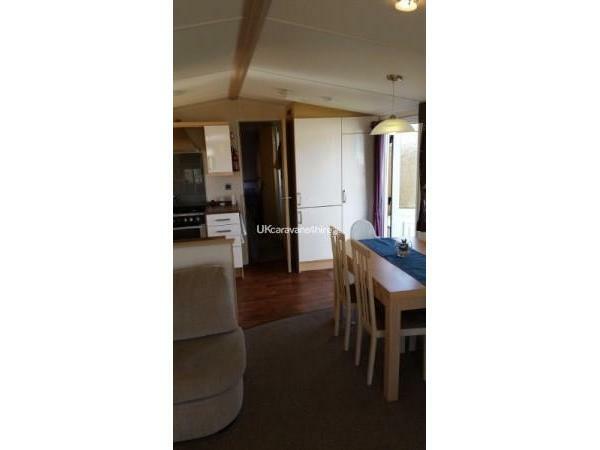 Absolute lovely caravan stayed for a week last year and again this year and will be returning next year. Already recommended to friends in perfect location with lovely view and plenty for kids to do mine are 8 and 13 and loved it. Rachel the owner is really helpful and stays in touch. Thank you for a brilliant week. Thank you very much for your kind review. We are glad you enjoyed your stay and look forward to welcoming you and your family back in the future. Thank you very much for your kind review. We look forward to welcoming you back again in the future and will be pleased to offer you preferential rates on your next stay with us. This was one of the best holidays we have had the caravan was immaculate.. absolutely stunning and very welcoming..would definitely recommend and will be recommending.. and mist definitely be visiting again..its situated in the best possible position for everything on the site.. Thank you once again.. Thank you very much for your kind review and we are glad you had a lovely stay. Please remind us in future enquiries that you have stayed with us before so we can give you preferential rates. Hope to see you again in the future. We had a fantastic long weekend, the caravan was perfect for us with two young boys. Communication with owner was great, very responsive and pleasant to deal with. So much to do in the area, boys loved the beach and crab fishing, copper mines and zip world were a huge hit too. We will definitely be heading back! Thank you so much for your review and we're glad you had a good stay. Please remind us you've stayed with us before if you ever rebook as you'll get preferential rates.